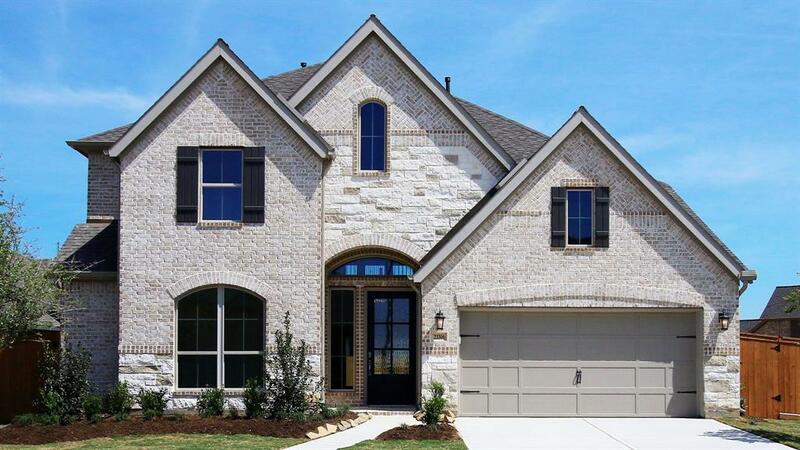 PERRY HOMES NEW CONSTRUCTION-Mahogany front door. 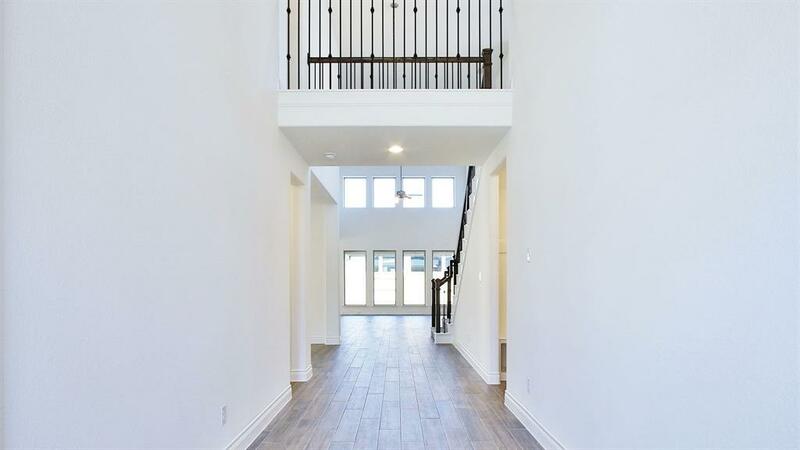 Two-story entry with 19-foot ceiling. Library with French doors set at entry. Formal dining room with ceramic tile floor. Two-story family room with 19-foot ceiling, ceramic tile floor and a wall of windows. Kitchen features an island with built-in seating space, walk-in pantry and butler's pantry. 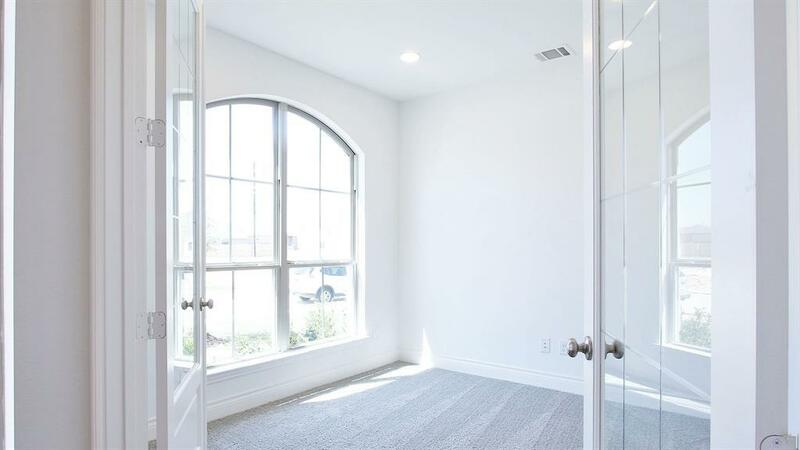 Private master suite with a curved wall of windows. 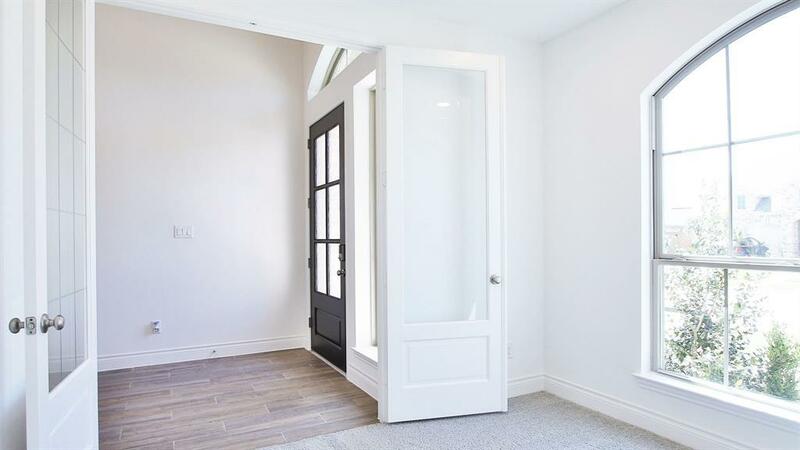 Double door entry to the master bath with a garden tub, dual vanities, separate glass-enclosed shower and two walk-in closets. Upstairs game room. Mud room. Extended covered backyard patio. Three-car garage.